St Nicholas Gardens have a long ecclesiastical history dating back to at least the 11th Century when the presence of a church was listed in the Domesday Book. 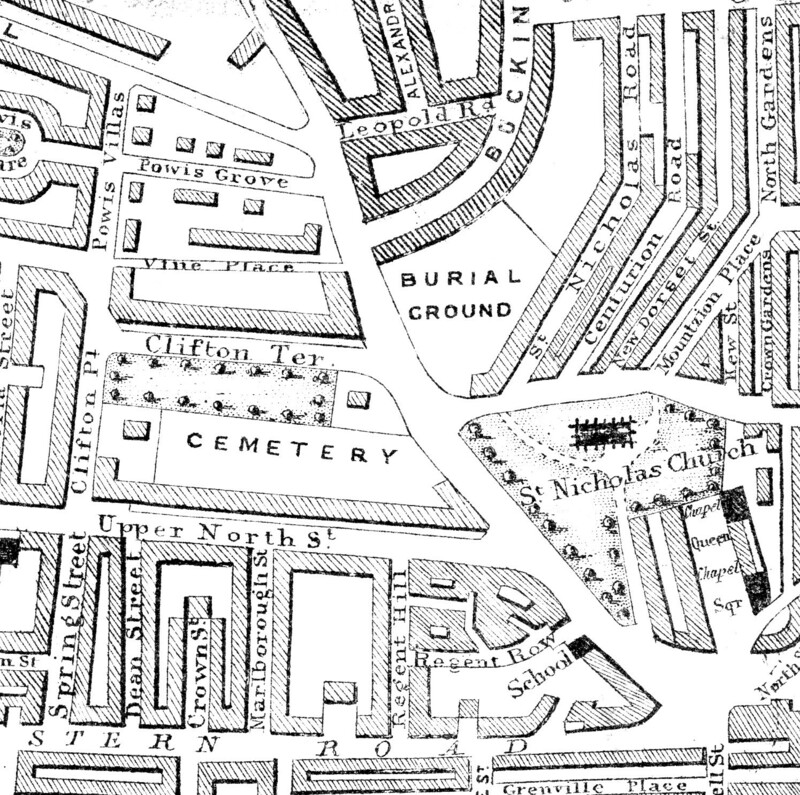 As Brighton (Brighthelmstone) grew in the 18th century the Churchyard followed suit with more land acquisitions being made to accommodate the increasing demand for burial space. As well as extensions to the churchyard, the additional spaces to the north of Church Street and the west of Dyke Road were added in the first half of the 19th century. The Sites and Monuments Register (SMR) shows Bronze Age burial mounds nearby and a Bronze Age Axe and beakers were found near the church. The possibility of the church being built on a Stone Circle is also mentioned in several of the Church’s history guides and the SMR. The base of a Medieval Cross still exists on the south side of the church. Brighton & Hove History Centre holds burial records which date back to 1587. Although records were kept prior to this date, they are now illegible. It is thought that the oldest monument on site is the memorial to Capt. Nicholas Tattersell who died in 1674 and achieved fame through his assistance to King Charles II by providing a ship to carry him to France following his defeat at the battle of Worcester. 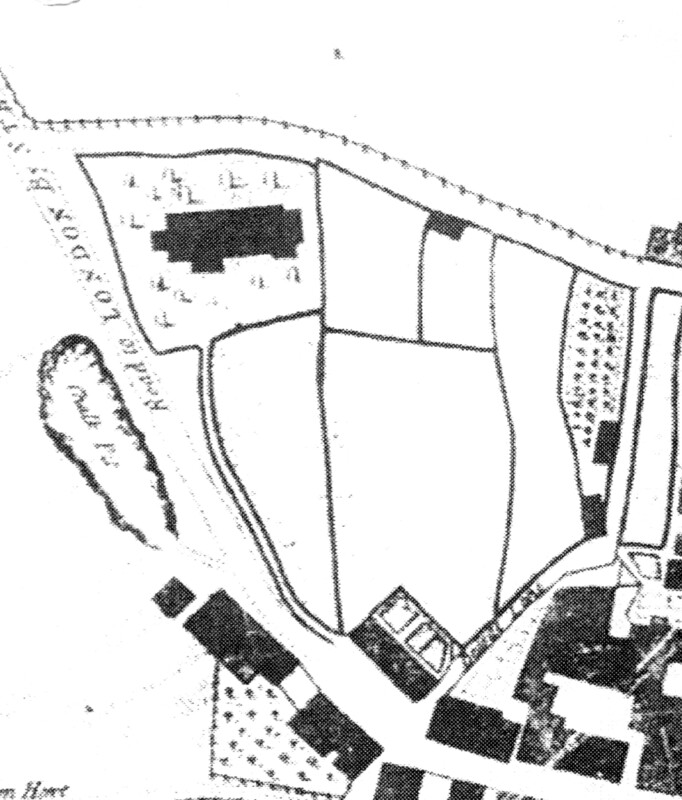 This map shows the churchyard in 1778, just consisting of the area immediately surrounding the church. By the end of the 18th century the churchyard was becoming full and in 1789 the Lords of the Manor of Brighton, Charles Scrase and Thomas Kemp granted land to the west of the church in order to enlarge the churchyard. Two further extensions were opened, the first to the north of Church Street in 1824 (known as Dyke Road East) and in 1841 a second extension to the west of Dyke Road was opened. This map from 1875 shows the burial grounds extended to cover the areas known to us today. 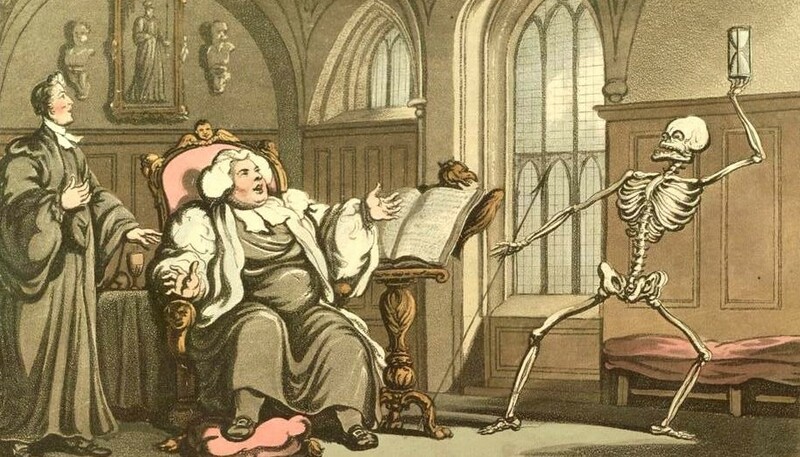 In February 1854 the Privy Council informed the parish that, under the provisions of the Burials Beyond the Metropolis Act 1853, burials at any church or chapel in Brighton were prohibited after 1 October 1854. This establishes historically the dates of the monuments – from the late 1600’s to the mid 1850’s.